Like the idea of seeing our full range of shutters before you buy? No problem! Our UK showrooms are the place to view shutter styles and colours and to find out everything you need to know. They’re guaranteed to make your home look smart from inside and out, and they’re an easy-care way to regulate light and create privacy when it’s required – but what if your friends and family don’t have made to measure window shutters and you want to see them close up? And what about comparing the merits of different styles, checking out colours, and looking at louvre sizes? That’s where our showrooms come in. 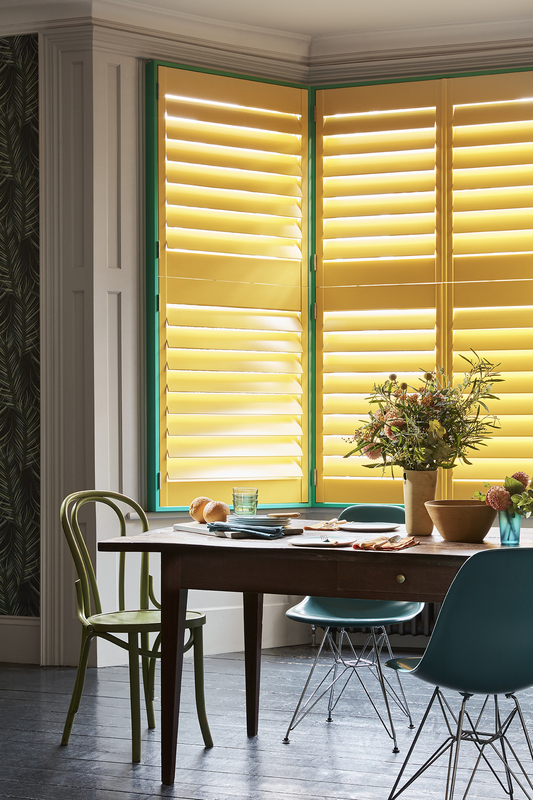 Come along to our home-town showroom in Brighton or visit one of the independent furniture, interiors and homeware shops in London and around the UK that are home to a showroom and you can see our beautiful window shutters up close and personal. All our showrooms are open Monday to Saturday, as well as on bank holidays, and you don’t need to make an appointment, so there’s plenty of opportunity to drop in when you’re shopping or make a trip when you’re ready to browse. While you’re there, you can find out all about the measuring and fitting process and take away shutter samples to check how they’ll look in your rooms. You’ll be able to see our fabulous range of colours and find out about our colour matching service – we can make shutters in any shade you want. Not sure whether full height, tier on tier, café style or solid panel shutters are the right choice? You’ll be able to find out about the benefits of every style, as well as our solutions for awkwardly shaped windows and doors.We look forward to seeing you soon!